This is the new automated machine used by the Kansas Turnpike Authority. 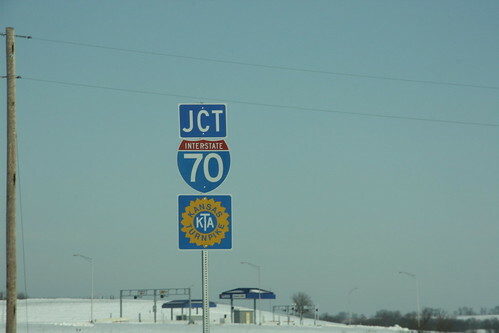 This example is at the I-70 interchange with 222nd Street south of Tonganoxie. 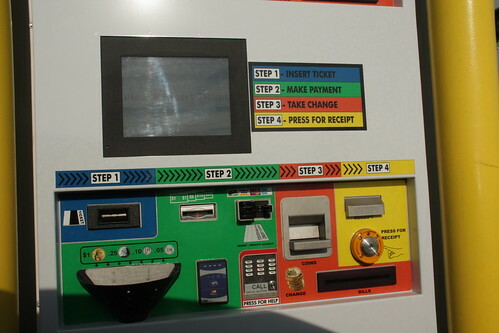 The ticket goes in the blue slot, then the amount owed will be displayed on the monitor. The machine takes bills and credit cards in addition to the traditional change basket. Unlike traditional automated tollbooths, change can be made, and there's an option for a receipt. If all else fails, you can also press the call button and get assistance from the KTA. Coming off the off-ramp from the Turnpike, guide signs point the way to the destinations noted on the exit sign. The new sign is in upper-case using the Clearview series typeface. 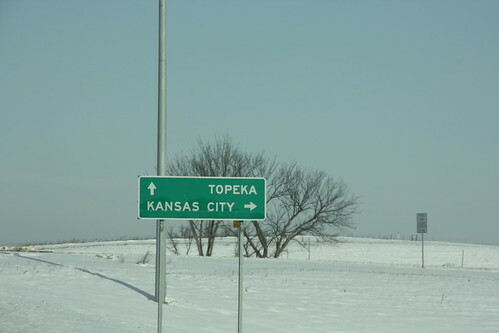 The junction signs on 222nd Street approaching the Kansas Turnpike/I-70 use both the I-70 and Kansas Turnpike shields. Of note: The signs here are use the 20-petal version of the sunflower shield. 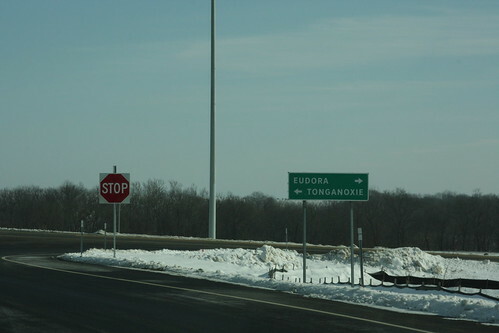 Unlike similar control city markers used by KDOT, the guide at the new 222nd Street interchange on the Turnpike utilize all-upper case lettering. The typeface on this sign is the standard FHWA series, rather than the Clearview series is use on most of the other KTA-designed guide signage. 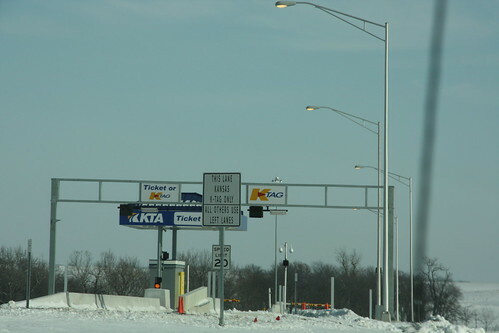 On the on ramp to the Turnpike, a regulatory sign indicates the right lane is for the exclusive use of K-TAG customers.